The two-day tournament is the first of two this season which will see Scotland take on England, Ireland and Wales in a competition focused on developing high-level competition for the teams involved. Day one will host a round-robin tournament where every nation plays each other before progressing to semi-finals and finals on day two based on seedings from the preceding games. 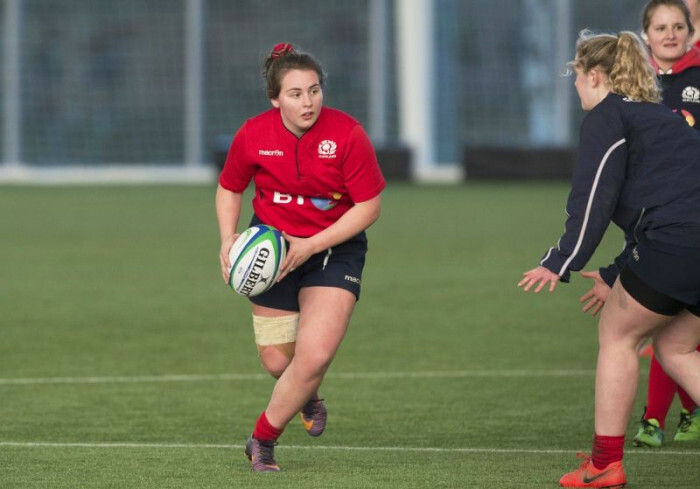 Scottish Rugby Head of Women & Girls’ Rugby, Gemma Fay, said: “This Home Nations U18 7s tournament will provide a great development opportunity for all players involved. This leg of the tournament will take place at Peffermill Playing Fields, Edinburgh University before the same teams are hosted by England in Birmingham on 21 and 22 July. New Scotland Women U18 7s Head Coach, Graeme Blackhall, has selected his first training squad ahead of the matches. He said: “For many of the squad it has been their first experience of training at this intensity and I have been delighted with their response, they are relishing the chance to represent their country on home turf. Playing against the other home nations will be a great test for this talented squad. Included in the squad are Stirling County’s Evie Wills and Evie Gallagher who were recently a part of Head Coach, Scott Forrest’s senior Scotland Women 7s squad ahead of the Rugby Europe Grand Prix Series. Supporters are invited to attend the Home Nations U18 7s which is free and unticketed.The tournament runs from 10am until 4pm on Saturday 7June and from 10am until 2pm on Sunday 8June.